I have 12 for sale, all in good condition, complete with new joiners fitted. 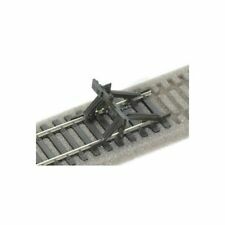 PECO STREAMLINE HO/OO Universal Nickel Silver Rail Code 100 INSULFROG Single Slip SL-80. Condition is New. Dispatched with Royal Mail 2nd Class. PECO STREAMLINE HO/OO Universal Code 100 Nickel Silver Raul INSULFROG Single Slip SL-80. Condition is New. Dispatched with Royal Mail 2nd Class. Early Peco small radius nickel silver right hand point - code 100 - boxed with original leaflet. 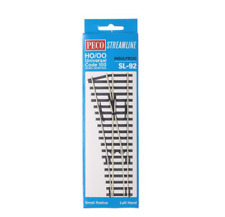 PECO STREAMLINE HO/OO Universal Code 100 Nickel Silver INSULFROG Points SL-91 Small Radius RH. Condition is New. Dispatched with Royal Mail 1st Class. Peco Streamline Points Right Hand-(3171). The points are as photographs, the points are 18.5 and 22 cm long respectively. PECO FLEXIBLE STREAMLINE. Dark brown wooden style sleepers. MAKE A GREAT XMAS GIFT . (AS I STATE IN ALL MY SALES). Peco SL-43 Loco Lift for OO/HO Locomotives. Loco Lift and Storage Unit Kit. 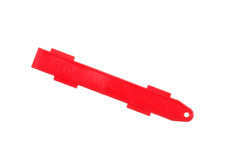 This easily assembled 5 part kit is designed primarily for use in storage sidings, facilitating the removal of a locomotive from the end of an incoming train and placing it at the oppersite end. 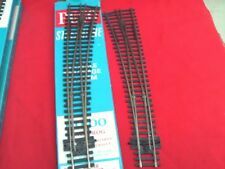 PECO SL-1140 -STREAMLINE 2x BULLHEAD BUFFER STOP KIT. Add to Favourites. HO/OO Insulfrog SL92X Small Radius Left Turnout. Peco Streamline.